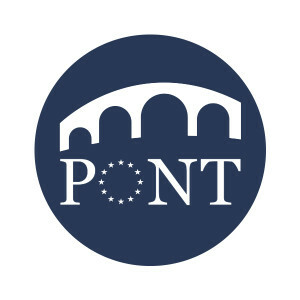 PONT – Professional Training on EU Affairs aims at building a bridge connecting students and young researchers with EU practitioners, in order to improve their employability. The project takes place over three years, from 2015 to 2018. PONT consists of teaching and training activities in selected policy fields, with the objective to give graduates and young academics the opportunity to deepen their knowledge of a policy field and develop their professional skills, preparing them to take up a job in public administration, the EU institutions, NGOs, academia or think tanks across Europe. The two main branches of the project are the Working Europe Seminars (mainly for postgraduate students and recent graduates) and the Career Skills Trainings (mainly for young professional researchers). The three Career Skills Trainings aim at offering young academics the opportunity to acquire and deepen professional skills linked to different dimensions of the EU sphere. These skills cover policy-oriented research but also more widely communication skills and media literacy. The three Working Europe Seminars, targeting students at an advanced stage of their studies or recent graduates, will deepen their knowledge on a specific EU policy field, through first-hand insights from EU practitioners on the ‘real-life’ processes of EU policy-making. The seminars are also aimed at students outside the field of European studies, who do not necessarily come into contact with EU issues on a regular basis, thus providing them with a unique opportunity. The first seminar covered EU migration and asylum policy; the second covered EU energy, climate and environment policy. Besides these training and seminars, six TEPSA Pre-Presidency Conferences bring together academics, young researchers, civil society and policy-makers to discuss the agenda and challenges of the upcoming EU presidencies. The final report of the third Career Skills Training is now available!